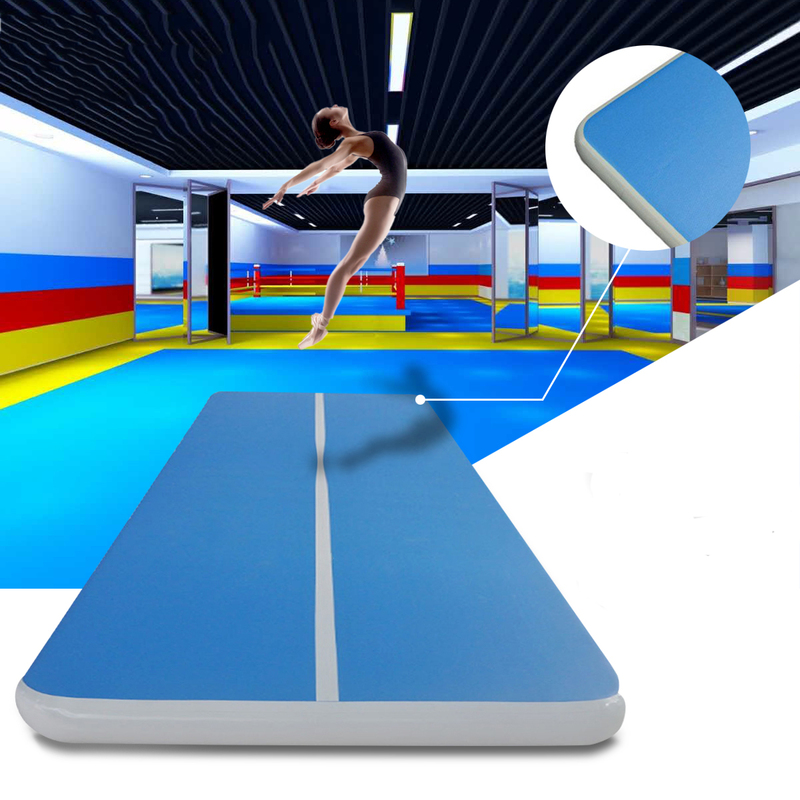 For just US$1,383.39 ~ 2773.39 , buy 472x78x7.8inch Inflatable Gym Mat Air Track Floor Tumbling Gymnastics Cheerleading Pad from the China wholesale webshop. Made of hight quality PVC material,excellent air tightness, wear-resisting and with long service life. Adopt wire drawing workmanship in the inner,good elasticity, strong bearing capacity, and not easy to deformation. Close valve design, completely sealed and no leakage. With the electric pump, it is more convenient to use. All the adhesive parts of all the use of glue bonding, peel strength and high temperature, hydrolysis resistance, anti-ultraviolet performance are excellent, even in the sun exposure, the stability of the air connection parts are fully guaranteed. 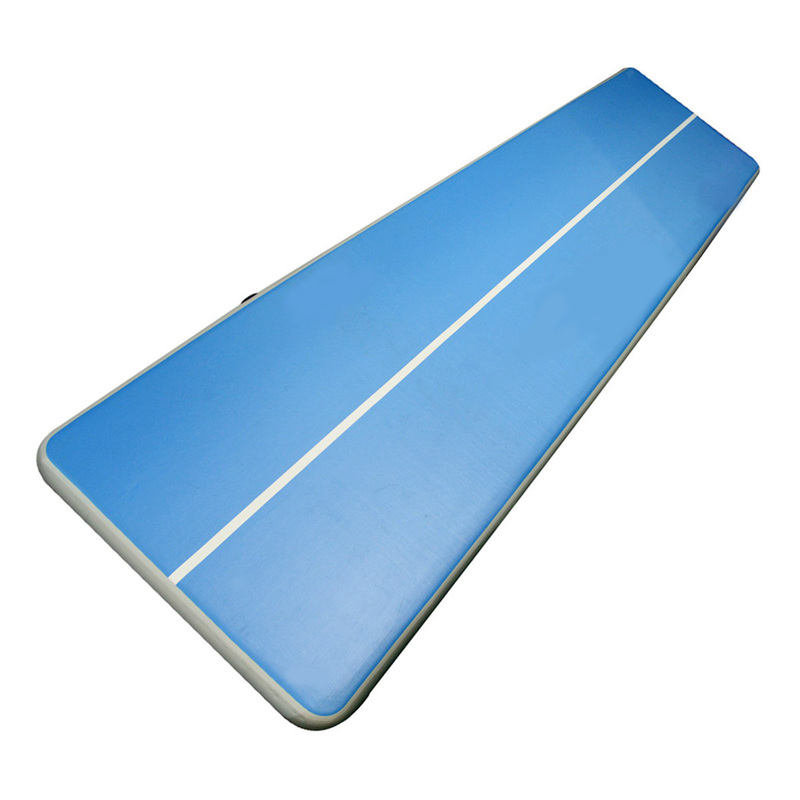 Suitable for using to do gymnastics, yoga, taekwondo, etc. the use of special fan from the safety self-locking nozzle for inflation, please note that inflation can not be full, so as not to inflate and lead to burst damage to the product. When the outdoor temperature is higher than 28 degrees due to the high temperature will make the product expansion, in order to avoid product expansion in the inflatable appropriate to reduce the amount of inflation. 1. 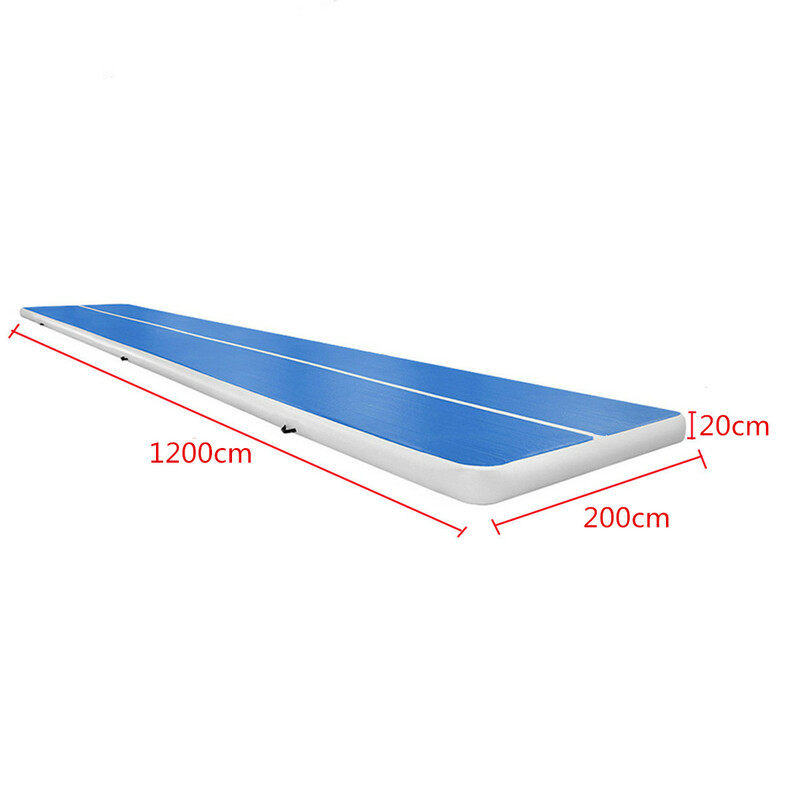 The product damage within 10cm, you can use the repair glue and repair film, in the damaged and repair film coated with special glue, glue 5 minutes after the sticky sticky after heating bonding, appropriate extrusion, a few minutes After the normal use. 2. In case of wind, rain, snow, fog, hail and other weather, equipment should be strictly prohibited to avoid accidents. 3. If not used for a long time, you can use the washing powder to remove the surface stains clean, and then scrub with water after the sun can dry.